This charming masterpiece was inspired to replicate an old southern antebellum plantation with the finest distinctive sophistication. The home exemplifies throughout a historic authenticity lending warmth for family style hospitality. 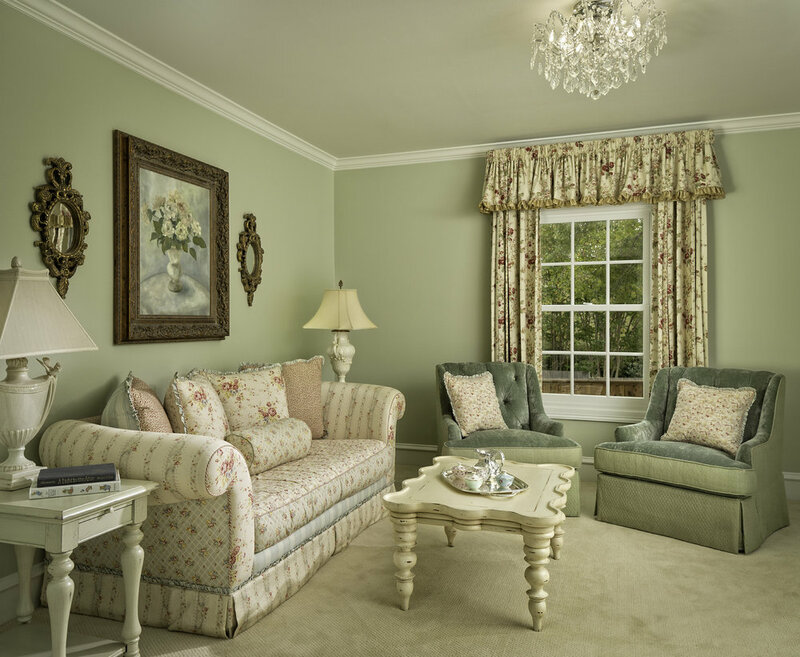 The fabrics and furnishings are blended from colonial blues, soft rays of yellows, aged greens to adoring petals of pink. The refinement of tapestries and antiques to replicas of the early American empire period give it the grace of elegance making it the finest statement.